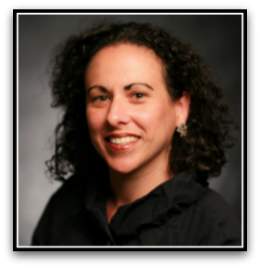 APN's Elana Kravitz in Times of Israel: Donors: Do you know what you’re paying for? When you crusade with the claim that Israel does no wrong, you drive students into the arms of the BDS movement. As a young Jew, I owe gratitude to many donors. As a graduate of Jewish day school, participant in multiple Jewish summer camps, Hebrew school teacher, and member of two wonderful Jewish communities at home and at college, I have many of generous donors to thank for the wonderful Jewish education and experiences I have had the privilege to receive. These donors enabled me to lead an enriching and meaningful Jewish life from kindergarten to college, and every single one deserves my deep gratitude. So I hope that these donors will not take offense when I ask: Do you know what you’re paying for? For many donors, the results of their funding are clear and tangible; they can see the wing of a synagogue they funded, or receive numbers of how many people were helped by their generosity. But many other Jewish donors fund programs and organizations whose labors they will never be able to experience first-hand or quantify. Some of the most controversial of these funding recipients are organizations tasked with the elusive goal of “defending Israel on campus.” It’s not as easy to quantify how many students these groups help, or quite how effective they are in counteracting the menace of BDS on campus. Topics for debate: Amb. David Friedman's settlement condolence call, continued uproar over Israel's Nation-State Law particularly from the Druze community, poet Dareen Tartour and (in)equality of Israel's treatment of incitement, and President Trump's offer to meet Iranian leaders without preconditions. Guests appearing with Debra Shushan (APN Director of Policy and Government Relations): Vivian Bercovici (former Canadian ambassador to Israel) and Aaron Klein (Breitbart). Israel’s new Nation-State Law is not only anti-democratic. It is also anti-peace. It hinders not only peace between Jews and non-Jews in Israel, but it also severely hampers prospects for future peace between Israel and its Palestinian neighbors. Instead of echoing Israel’s Declaration of Independence by championing the pursuit of peace as a Jewish value of the Jewish state, the Nation-State Law asserts an aggressive, uncompromising, zero-sum attitude toward Israel’s relations with the Palestinians. The law’s exclusionary content and tone is directed at non-Jewish citizens of the state, but is understandably perceived by non-Israeli Palestinians as well as a law that as excludes them from a relationship based on equality with Israel. Those who suggest a dead-on-arrival U.S. peace plan will be simply thrown into the dustbin of history and will have no long-term consequences are dangerously wrong. A defective plan could have catastrophic consequence. An impending U.S. diplomatic initiative to address the Israeli-Palestinian conflict used to make big headlines. Now, the Trump administration says its on the verge of issuing an "ultimate deal" plan to resolve the Israeli-Palestinian conflict - and hardly anyone seems to care. Should we care? Absolutely. Not because the plan has a serious chance to succeed. It doesn’t. But because of the potentially catastrophic repercussions that a severely flawed plan would have. What we know so far about this administration’s approach to the Israeli-Palestinian question does not bode well for an effective peace plan. JERUSALEM — Over five decades in control of the West Bank, Israel has marked out hundreds of thousands of acres as public land, and it has allocated almost half of them for use. But only 400 of those acres — 0.24 percent of the total allocated so far — have been earmarked for the use of Palestinians, according to official data obtained recently by an anti-settlement group after a freedom of information request. Palestinians make up about 88 percent of the West Bank’s population. When you think about the Israeli-Palestinian conflict, the first thing that comes to mind usually isn’t soccer. But this week, a soccer game in Israel became a highly symbolic political pawn used by the Palestinians, and specifically the Boycott, Divestment, and Sanctions (BDS) movement, against Israel. The match, scheduled for Saturday in Jerusalem, was intended to be a “friendly” warm-up game between the Argentine and Israeli national teams before the World Cup next week. 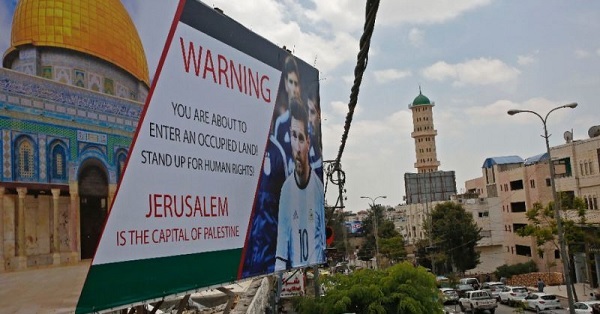 Palestine Football Association chief Jibril Rajoub pressured Argentina to back out of the match, even going so far as to encourage Palestinians to “burn their Messi [jerseys] and pictures and renounce him.” In the wake of this encouragement, Argentine soccer players, especially Messi, received numerous threats, leading the team to pull out of the match citing concerns about safety. 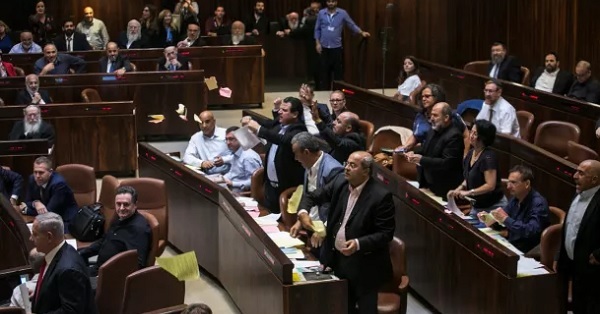 While proposals for annexation of all or part of the West Bank had previously been confined to the extreme right-wing fringe of the Israeli political spectrum, members of Prime Minister Benjamin Netanyahu’s Likud Party are now submitting such bills to the Knesset. In December 2017, Likud incorporated into its party platform a resolution that would effectively extend Israeli sovereignty over West Bank settlements. And at the direction of Justice Minister Ayelet Shaked of the Jewish Home Party, the government is moving to apply Israeli laws in the West Bank – to Israeli settlers only. Since President Donald Trump took office, the Israeli right has launched an unprecedented drive to annex the West Bank, piecemeal or in its entirety. This paper does the following: lays out the recent developments that present a quantum leap in Israeli annexation efforts, analyzes these moves against the historical backdrop of Israel’s 50-year occupation of the West Bank, examines the ramifications of the transition from “creeping” to “leaping” annexation, and considers why this transformation is happening now. What Is Annexation and Why Does It Matter? As defined in international law, annexation is a unilateral action in which a state incorporates territory into its domain by proclaiming sovereignty over it. Annexation of a territory acquired through war is impermissible under international law, and instances of such forceful, unilateral annexation have been soundly condemned by the international community, from Japan’s annexation of Manchuria in 1932 to Russia’s annexation of Crimea in 2014. Similarly, Israel’s annexation of East Jerusalem in 1980 and the Golan Heights in 1981 were denounced internationally, including by United Nations Security Council resolutions. Israel has been engaged in incremental, de facto annexation since it occupied the West Bank during the June 1967 War. The establishment of Israeli settlements – illegal under international law – constituted an early step in this “creeping” annexation of the West Bank. According to the Fourth Geneva Convention, an occupier may not transfer its population to territory it occupies. The intention of this provision was to prevent colonization of occupied territories. Creeping annexation has not only occurred intentionally, through long-term gradual efforts by politicians and settlers to transform reality. It also happens organically, in the minds of Israelis and even of Palestinians and international observers as a result of the passage of time. For example, schematic maps that are not intended to make a political point (such as maps shown on Israel’s national TV for the weather report) do not delineate the West Bank. Their inclusion of forecasts for large West Bank settlements (not Palestinian towns, though) alongside Jerusalem, Tel Aviv, and Haifa reflects a growing perception among Israelis that these settlements are a part of Israel. A central argument of this paper is that we are now witnessing a paradigm shift in the Israeli drive to annex the West Bank. Creeping annexation is giving way to what we term “leaping annexation” – reflecting a headlong drive to establish de jure what Israel has inched toward incrementally through facts on the ground: Israeli sovereignty over parts or all of the West Bank. While extremist Israeli politicians have advocated annexation and filed annexation bills in the Knesset for decades, what is new is the mainstreaming of annexation initiatives. Past initiatives were largely a matter of political theatrics coming from the very extreme right wing of the Israeli political stage. Those pushing for annexation knew that their efforts would hit a wall of solid Israeli consensus in opposition to annexation. Now, annexation efforts are originating in the ruling Likud Party, often with government support and sometimes even with Prime Minister Netanyahu’s support. Public discourse regarding various possible forms of annexation is no longer taboo; it has become mainstream and normalized. Increasingly, the question posed is less whether Israel will annex, but how much and which portions of the West Bank it should incorporate. Another subject that has been opened for debate is which rights will be extended to West Bank Palestinians whose lands are annexed: will they be extended equal citizenship? The ramifications of this leap from creeping to de jure annexation are considerable. More than the establishment of settlements which can be uprooted (and have been in the past: in the Sinai, in Gaza, and even in relatively small numbers in the West Bank), annexation conveys the intention of permanence. The extension of Israeli sovereignty over the West Bank, or even parts of it, is almost certain to deal a death blow to the two-state solution. That would put the kibosh on the Palestinian dream of fulfilling Palestinian national political aspirations through statehood and consign Israelis and Palestinians to perpetual conflict. Given demographic realities, annexing the West Bank and defining Israel as the territory between the Mediterranean Sea and the Jordan River (even if the Gaza Strip is excluded) would mean that Israel can continue to be a Jewish state only by continuing to disenfranchise the Palestinians in a reality comparable to apartheid. And it could continue being a democracy only by granting full rights to a Palestinian majority or near-majority, a step that would lead to its losing its character as a Jewish state. At a time when Israel’s diplomatic engagement with the world, including the Arab states, is increasing, annexation would render Israel an international outlaw. And with this would likely come a deepening in existing and painful tensions between Israel and progressive Jews in the United States and worldwide. The Annexation Leap: How Did We Get Here? Despite Israel’s deep disagreements with positions widely held by the international community regarding the legal status of the West Bank, successive Israeli governments applied the laws of “belligerent occupation” there and recognized that the West Bank was not part of sovereign Israel. Under the law of belligerent occupation, an occupying state may establish interim, limited military administration over an occupied territory and its population during war. The Occupant’s powers include establishment of orderly governance and protecting the security of its occupying forces, but it must do this while protecting inhabitants’ rights and deferring questions of territorial change and sovereignty to the end of hostilities. More than fifty years after the conclusion of the 1967 war, the legal status of the West Bank remains that of belligerent occupation. Politically, the assumption – or at least the official line of successive governments – was that the West Bank was held temporarily, pending a negotiated settlement. The prevailing view in the late 1960s and 1970s was that this settlement would be with Jordan; with the 1993 Oslo Accords, Israel turned to negotiating an agreement with the Palestinian leadership. This assumption of impermanence notwithstanding, successive Israeli governments have established settlements in the West Bank. Today, settlements are home to more than 380,000 Israeli citizens. This number does not include Israeli citizens residing in East Jerusalem. The establishment of settlements created an anomaly: two populations (Israeli citizens and Palestinian non-citizens), living in the same territory but subject to different sets of laws. Even when settling large numbers of Israeli citizens in the West Bank became official Israeli government policy in the late 1970s, successive Israeli governments avoided directly applying Israeli laws to the settlers. It did so indirectly. The Israeli military chief in the West Bank (Commander of the Central Command) signed executive orders applying to Palestinian residents of the West Bank, as well as Israeli laws adopted by the Knesset to apply to Israeli residents of the West Bank. De facto, Israeli laws therefore have always applied to Israeli citizens in the West Bank. De jure, however, these laws were regarded as military laws, in keeping with the provisions of international law regarding an area held under belligerent occupation. This situation was further complicated in 1994 with the establishment of the Palestinian Authority, which serves as an additional governing authority in the West Bank. As an interim measure, three zones were established in the West Bank. Since then, a mixture of Israeli military and Palestinian Authority (PA) laws and regulations have applied to Palestinians living in areas subject to the PA’s administrative rule (Area A and Area B). In Area C, which includes all Israeli settlements, the pre-1994 status quo persists: Israeli laws as military laws apply to Israeli citizens, while a distinct set of military laws applies to Palestinian non-citizens. These laws are a hodge-podge of old Ottoman (Turkish) laws, Jordanian laws, and Israeli regulations, all signed by the Israeli military governors of the West Bank since 1967. Since some proponents of annexation direct their efforts at Area C, it is important to note that the understanding between Israel and the Palestine Liberation Organization (PLO) in negotiations that followed the signing of the Oslo Accords in 1993 was that most, if not all, of the West Bank (including most or all of Area C) would become part of the future Palestinian state after the conclusion of a final-status agreement. While some in Israel have called for annexing parts or all of the West Bank since 1967, through the 1993 Oslo Accords and beyond, their agenda was marginal. Israeli governments, including governments led by the right-wing Likud Party, did not seriously entertain such initiatives. An understanding that the international community, and most importantly the United States, would not tolerate an Israeli leap to annexation played a pivotal role in preventing annexation efforts from becoming mainstream. The election of Donald Trump as President of the United States changed all that. From his days on the campaign trail, Trump made clear his contempt for President Barack Obama’s efforts to constrain the Netanyahu government, and particularly its decision to abstain on (and not veto) UNSC Resolution 2334 condemning Israel’s ongoing settlement construction. As President, Trump has shown no interest in using American leverage to deter the Israeli government from doing anything, from building settlements to enacting annexation to shooting unarmed protesters in Gaza. The lack of constraints by the international community (and especially by the Trump Administration) on the Netanyahu government has enabled Israel’s most extreme right-wing government in its history to indulge its annexationist impulses. The result is a pivotal change in efforts to formally annex the West Bank or parts of it to Israel, as well as an intensification of de-facto creeping annexation. Both the efforts to officially annex at least portions of the West Bank and public discourse on annexation have gone mainstream. Politically, the most important change over the past year has been the initiation of annexation bills not only by the extreme right, as was the case in the past, but also by the ranks of the Likud Party. In December 2017, Likud’s Central Committee unanimously adopted a non-binding resolution supporting the extension of Israeli law to West Bank settlements, thus effectively applying Israeli sovereignty over them. Addressing the Committee, Public Security Minister Gilad Erdan said, “We will now promote the recognition of our sovereignty of the Jewish settlements in Judea and Samaria [the West Bank]. . . . We must begin to enact this sovereignty, we have the moral right and obligation towards our settler brothers.” While the Likud resolution has not yet resulted in government-endorsed legislation to extend Israeli sovereignty to the settlements, Likud members are submitting annexation bills. These range from annexing specific settlements such as Maale Adumim to annexing settlement clusters – those around Jerusalem, for example – to annexing vast geographic areas such as the Jordan Valley, to annexing the entire West Bank, as proposed by Deputy Minister for Foreign Affairs Tzipi Hotoveli. As for Prime Minister Netanyahu, he has shown in the past that, while he opposes the creation of a Palestinian state, he does not support formal annexation. Netanyahu is an incrementalist who believes in playing the long game, convinced that time is on Israel’s side. Even with the Trump Administration in power in the US, he is wary of the political price that Israel may have to pay in international criticism. He views the status quo as the lesser of evils for Israel and believes that gradual steps toward annexation are a better path than formal annexation to lead Israel toward the goal of denying the establishment of a Palestinian state. His preference for creeping moves toward annexation notwithstanding, Netanyahu is under substantial legal and political pressure, stemming from the threat of multiple indictments against him for corruption. Netanyahu’s record of deflecting right-wing pressure to annex parts of the West Bank de jure may erode should he decide to support annexation initiatives as a way to pander to his base. In the past, Netanyahu used opposition to annexation by the United States as a way to put off the annexationists. He no longer has that card to play. During 2017-18, President Trump’s first years in office, there has been an increase both in creeping annexation and attempts to make the leap to formal legal annexation. The former includes an upsurge in tenders awarded for settlement construction in the West Bank, as documented by Peace Now’s Settlement Watch team. Creeping annexation is also evident in East Jerusalem, where the Israeli government is moving to intensify settlements. This process has been emboldened by the Trump administration’s unilateral recognition of Jerusalem as Israel’s capital. Regarding the leap to extend Israeli sovereignty de jure over portions or all of the West Bank, we will highlight three measures already adopted. Ministerial Committee for Legislation decision: In January 2018, after receiving endorsement from Attorney General Mandelblit, Justice Minister Ayelet Shaked (who heads the Committee) stated that going forward, any government-endorsed bill submitted to the Committee must state the form in which it will apply to Israelis living in the West Bank. Indeed, when the Committee met subsequently on January 21, all 12 government-endorsed bills discussed included reference to the way in which they apply to the settlers. One bill, for example, which addresses the allocation of egg production quotas to farmers, states that for the purpose of egg production quotas, Israel and the West Bank settlements will be regarded as one entity. The Committee decides when government-initiated bills will advance to the Knesset docket and what the Cabinet’s position is on bills initiated by opposition MKs. The implication of this decision is that bills that do not explicitly state that they apply to the settlements will not be endorsed by the coalition; therefore, they have almost no chance of passing. The “Regularization Law”: Adopted by the Knesset in February 2017, this law determines criteria for “kosherizing” previously unauthorized outposts built on private Palestinian land. Essentially, it awards government recognition of settler possession of land that the settlers have taken from Palestinians, permitting the state to force compensation on Palestinian landowners. The measure also makes a mockery of the rule of law in Israel by rewarding the actions of radical settlers who established outposts that were illegal under Israeli law. All settlements, as discussed earlier, are illegal under international law. Significantly, the “Regularization Law” directly applies Israeli law in West Bank territory. It is the first time the Knesset has adopted a law that directly applies to Palestinians in the West Bank and to land there. In a Knesset discussion in November 2016, the Knesset’s Legal Advisor Eyal Yinon said that in that sense “the law crosses a line that has never been crossed before.” This legislation (Hok Hahasdara in Hebrew, alternatively translated as the “Regulation,” “Normalization,” and “Formalization” Law), has drawn sharp criticism from Israeli legal experts, including those who warn that the measure undermines Israeli rule of law and can be interpreted as a form of annexation. The Nation-State Law: Passed in July 2018 as a Basic Law which has quasi-constitutional status, the Nation-State Law codifies Israel as the nation-state of the Jewish people in which Jews alone enjoy the right to national self-determination. The liberal Meretz Party attempted to amend the controversial Nation-State Law to prevent the law from being applied to territories beyond Israel’s current sovereign boundaries (i.e. the West Bank). This proposed amendment failed by a vote of 63 to 31. The perceived need for the amendment may have arisen from a provision within the law which states, “The Land of Israel, in which the State of Israel arose, is the historic homeland of the Jewish people.” Given this provision, the law could be read to imply an Israeli territorial claim extending beyond its current borders to the broader geographical area between the Mediterranean Sea and the Jordan River, which includes the West Bank. Already in August 2018, a state attorney defending the “Regularization Law” before the HCJ is arguing that the Nation-State Law applies in the West Bank. Specifically, Harel Arnon has stated that the Law’s stipulation that “the state views the development of Jewish settlement as a national value and will act to encourage and promote its establishment and consolidation” justifies legalizing wildcat outposts in the West Bank built on private Palestinian land. More ambitious initiatives have been proposed and are either already on the Knesset docket, awaiting the right circumstances to be brought to a vote, or still in the concept stage. The following list groups them according to their scope. 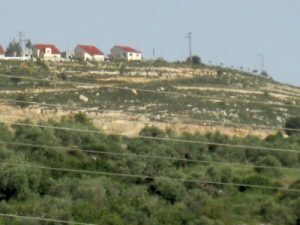 Annexation of West Bank Settlements: Shortly after Likud unanimously adopted its December 2017 resolution to annex the West Bank settlements, Likud MK Yoav Kish submitted a bill to turn the resolution into law. The bill was blocked by Prime Minister Netanyahu from coming to a vote but has not been withdrawn or cancelled. Annexation of Area C: Various bills aim to annex all of Area C, which composes 60 percent of the West Bank, including all Israeli settlements there. Per the Oslo Accords, this territory remains under full security and administrative control, though that was intended as a temporary condition. These bills follow a plan presented by Naftali Bennett, the extreme right-wing Jewish Home Party’s leader and Israel’s current Education Minister, first in 2012 and again in 2014. The Bennett Plan (also known as the “Stability Plan” or the “Relaxation Plan”) stipulates fully annexing Area C to Israel and granting Israeli citizenship to its Palestinian residents. Bennett contends that only 50,000 Palestinians reside in Area C. In reality, the number is much higher: likely around 150,000 and perhaps more than 200,000. The remaining 40 percent of the West Bank, composed of as many as 169 distinct and disjointed Palestinian enclaves, will come under an autonomous Palestinian rule but not a full-fledged state. Palestinian statehood would be impossible given the size and lack of contiguity of the autonomous Palestinian entity. Jerusalem Area Expansion and Annexation: A number of Likud MKs have proposed measures that would incorporate into Jerusalem settlements built in portions of the West Bank relatively proximate to the city – in effect, annexing them. Supporters of these initiatives favor them at least in part because they offer a way to bolster Jerusalem’s Jewish majority. Introduced by Likud MKs, the “Greater Jerusalem Bill” proposed that Efrat and neighboring Etzion Bloc settlements of Beitar Illit, Givat Zeev, and Ma’ale Adumim would become parts of Jerusalem, while Arab neighborhoods of the city would be cut out of it. Other MKs are submitting bills to annex specific settlements. For example, a bill sponsored by Likud MK Yoav Kish, temporarily backed by Prime Minister Netanyahu, proposed annexing the settlement of Ma’ale Adumim and the land corridor that connects it to Jerusalem. Known as E1, annexation of this corridor “would create a salient jutting” nearly halfway across the West Bank at its most narrow point, cutting the route connecting Ramallah and Bethlehem. Foreign diplomats, including Americans before and during the Obama presidency, have warned Israel not to build in E1. Palestinian analysts argue such a move would render a two-state solution impossible. Jordan Valley Annexation: Likud MK Sharren Haskel submitted a bill to annex the Jordan Valley. One of the bill’s co-sponsors was MK Micky Levy of Yesh Atid, who is typically considered a dove. Israeli governments, left and right, have emphasized the need to settle the Jordan Valley because of its strategic value as a buffer on Israel’s Eastern frontier in order to hinder conventional military attacks and guerrilla warfare. The Jordan Valley, which includes the Palestinian city of Jericho, has a Palestinian population of 65,000 and some 11,000 settlers. It constitutes about 30 percent of the West Bank. Several Knesset members, both from Likud and Jewish Home, are proposing full annexation of the entire West Bank to Israel. Significantly, among them is Israel’s Citizen Number One, President Reuven Rivlin. Rivlin supports full annexation of the entire West Bank and its entire Palestinian population, who will enjoy full equality Rivlin concedes, however, that he cannot conjure a way of achieving this while maintaining a Jewish majority in Israel that will sustain its character as a Jewish state. Deputy Foreign Minister Tzipi Hotoveli (Likud) has engineered a plan to do just that. She suggests offering Israeli citizenship to West Bank Palestinians and contends that Israel could offset the infusion of new Palestinian citizens through massive waves of Jewish immigration from the diaspora. MK Bezalel Smotrich (Jewish Home) also proposes full annexation but has a different way of addressing the so-called demographic balance. He suggests financially incentivizing massive emigration of Palestinians from the West Bank. Those who refuse to take the deal and leave will have a choice. They can fight and be “defeated” by Israel. The alternative is to accept Israel as a Jewish state and live in “self-governed communities, without national characteristics” in six “regional municipal directorates” as second-class citizens who are denied the right to vote in national elections. While that observation was quite exaggerated, it always has contained at least a grain of truth, and holds even more than a grain under the reign of Prime Minister Netanyahu. While in the past Israeli governments have avoided crossing certain lines so as not to jeopardize national security interests, Benjamin Netanyahu’s current government has crossed some of those red lines, as well as others related to Israel’s democratic character. Netanyahu launched a frontal attack on a sitting US president, leveraging Congress against President Obama and severely alienating the Obama Administration and many in America’s civil service. His government has targeted Israel’s Supreme Court, the police, and senior security officials. It has depicted journalists and independent media organizations, as well as progressive non-profit groups, as traitors. It has alienated America’s non-Orthodox Jewish community in unprecedented ways and has been delegitimizing anyone – in Israel or abroad – who dares to disagree with it. Since Israel conquered the West Bank in 1967, annexation was verboten and seen as crossing a red line. The Netanyahu government, headed by a prime minister who is prone to pandering as he awaits multiple indictments, is coming dangerously close to crossing that line. The most powerful pressure group among Likud members are the ideological settlers and Likud MKs are engaging in populist one-upmanship that appeals to the party’s base. Most important, the American government, which had in the past served as a bulwark against potentially catastrophic Israeli decisions regarding the West Bank, is acting as an accomplice in sabotaging future prospects for peace. Michael Sfard, the renowned Israeli human rights lawyer, recently wrote, “I always thought that if Israel were to unilaterally annex the occupied Palestinian territories, it would come under an international spotlight, with denunciations and protests around the world.” He concluded, however, “I was wrong.” In an October 2018 report to the UN General Assembly, UN special rapporteur for human rights in the occupied Palestinian territories Michael Lynk sounded an alarm, urging the international community to take action to stop Israeli annexation of the West Bank. Whether this report will be followed by international action remains to be seen. From the perspective of Palestinian national aspirations, the need to prevent Israeli annexation of the West Bank is obvious. Less obvious, perhaps, is the need to protect Israel from the whims of the politicians who, for the sake of pandering and scoring political points, are willing to risk Israel’s future – the future envisioned by its founders of a Jewish state and a democracy, living in peace and security as a respected member of the international community. It may be less obvious, but it is just as essential. Agha, Zena. “Israel’s Annexation Crusade in Jerusalem: The Role of Ma’ale Adumim and the E1 Corridor.” Al-Shabaka Policy Brief. 26 March 2018. Baruch, Pnina Sharvit. “Implications of the Application of Israeli Sovereignty over Judea and Samaria.” INSS Insight, No. 1007. 8 January 2018. Cook, Steven A. “Israel Moves to Annex the West Bank—This Is How the Two-State Solution Dies.” From the Potomac to the Euphrates Blog Post. 8 January 2018. Darkenu. “Safeguarding Israel: Oppose the Annexation, Choose Separation!” n.d.
McCarthy, Kristin. “Israel’s ‘Creeping Annexation’ Policy – Tables.” Foundation for Middle East Peace Resource. 5 April 2018 and regularly updated. Omer-Man, Michael Schaeffer. “Take A Look Around. This Is What Annexation Looks Like.” +972 Magazine. 13 February 2018. Peace Now. “Escalation in Israel's Settlement Policy: The Creation of De-Facto Annexation.” Peace Now Settlement Watch. November 2017. Peace Now. “Creeping Annexation: Changes in the Interpretation of the Laws Regarding Occupation.” Peace Now Settlement Watch. December 2017. Sfard, Michael. The Wall and the Gate: Israel, Palestine, and the Legal Battle for Human Rights. (New York: Metropolitan Books, 2018). Read or download as a pdf here. Ori Nir is APN’s Communications Director and former journalist with Haaretz and The Forward. 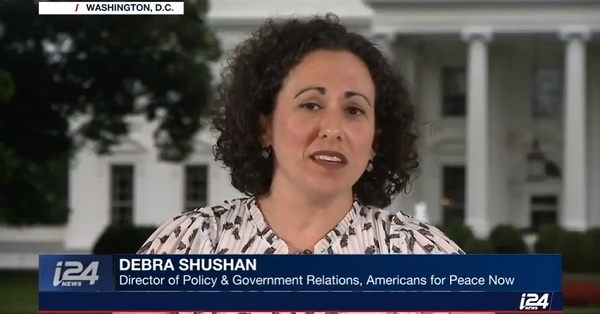 Debra Shushan is APN’s Director of Policy and Government Relations. Formerly, she was Assistant Professor of Government at the College of William and Mary. The White House says it wants to help Gaza. So it punitively cuts aid to desperate Gazans, adopts one-sided policies in Israel's favor – then blames the Palestinians for 'politicizing' humanitarian assistance. Two conferences held last week underlined the Trump Administration’s combination of bad faith and ineptitude in addressing Gaza’s severe humanitarian crisis. The first one, convened by the White House, was dubbed a "brainstorming session" on Gaza by Trump’s special representative for international negotiations Jason Greenblatt. At the outset, Greenblatt enjoined participants to "leave all politics at the door" in order to help Gaza.